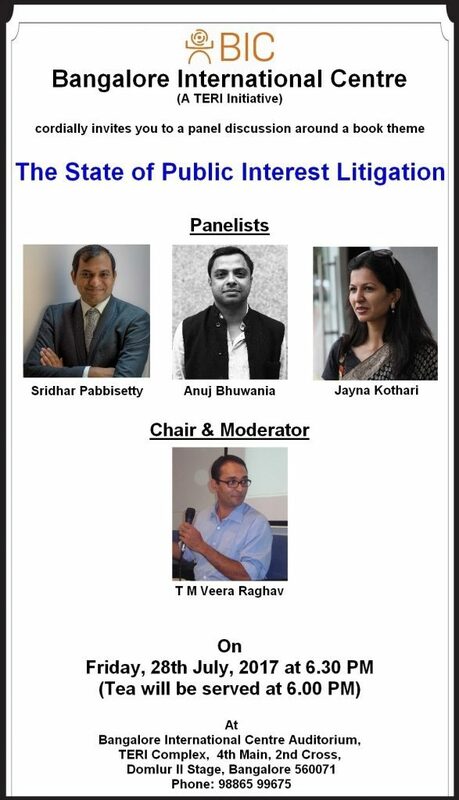 The panel discussion is around the book Courting the People: Public Interest Litigation in Post Emergency India authored by Mr. Anuj Bhuwania. This book traces the political journey of Public Interest Litigation (PIL) in India. Based on empirical study this book argues that PIL provides vast flexibility in procedure to the appellate judiciary resulting in the judiciary yielding overweening power. Jayna Kothari, Executive Director of Centre for Law and Policy Research is one the Panelists who will contribute to this discussion. Her review of this book can be accessed here.